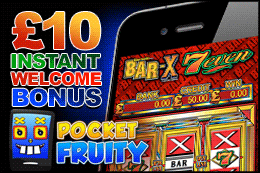 BAR X is known as the No.1 Arcade Fruit machine in the UK. In every Arcade in the UK you will find at least 1 BAR X. In the Arcade world the BAR X has been running for over 30 years and will continue.